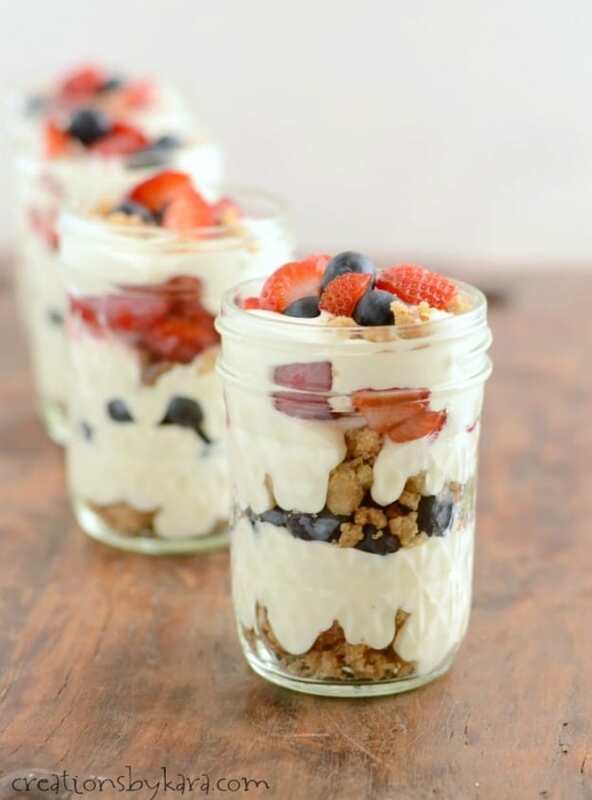 Mini Berry Cheesecake Trifles- a perfect 4th of July dessert that is not only fun to serve, it is absolutely delicious! Trifle has always been one of my favorite desserts. It is easy to make, looks gorgeous, and tastes incredible. It doesn’t get much better than that does it? This trifle doesn’t start with a cake base, it has a nutty crumb layer, more like a cheesecake crust. It adds such a great crunch to the trifles! I am a little late to the whole mason jar bandwagon thing. Everyone else has been serving food in them for ages, but I am just now discovering how fun it is. Don’t know why I didn’t start earlier. I guess I’m getting slow in my old age. LOL! 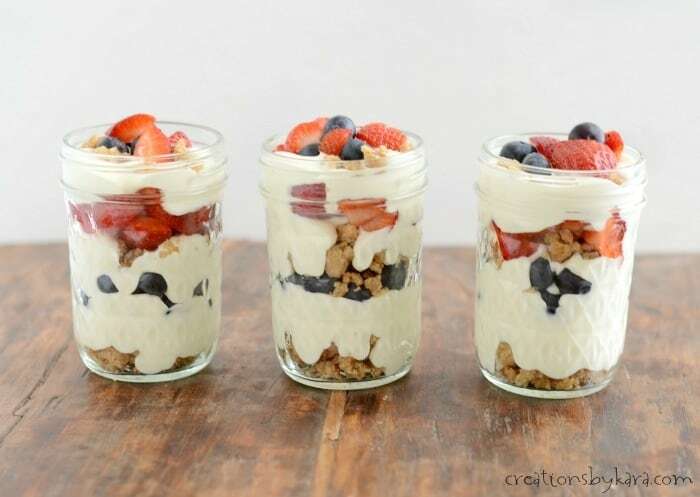 One of the great things about serving in mason jars (besides the fact that they are so darn cute) is that you can put lids on the trifles, plop them in a cooler, and take them to a picnic. Or just nestle them in ice for an outdoor party. Much easier than trying to transport a big trifle bowl. Mine is so tall it barely fits in the cooler, so these are a much better option! Mix all ingredients in a small bowl till crumbly. Press into a 9″ square pan and bake at 375° for about 15 minutes or till golden brown. Crumble while hot and set aside. Cool completely. Beat cream till soft peaks form. Add powdered sugar and vanilla and beat till stiff. Set aside. In a large mixing bowl, beat cream cheese till smooth. Gradually beat in the sweetened condensed milk. Beat till well combined. Set aside about 1/2 cup of the crumbs, and about a third of the strawberries and blueberries for garnish. 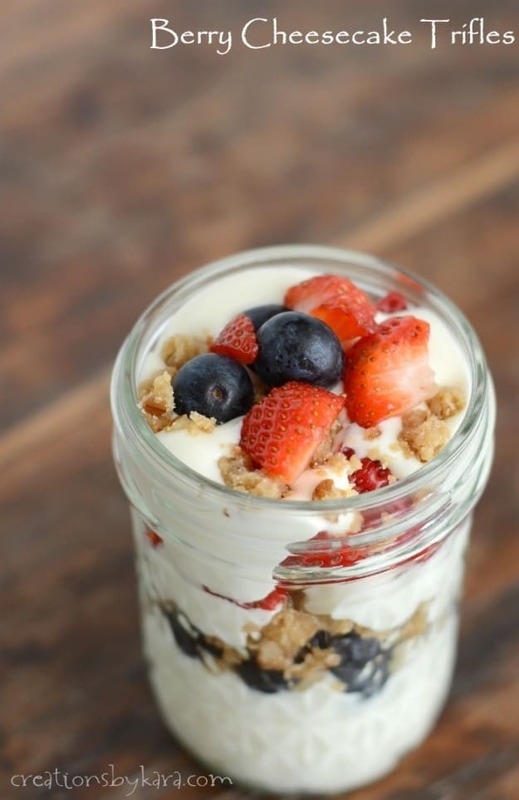 In 10-12 small mason jars or clear plastic cups, layer: crumbs, filling, blueberries, crumbs, strawberries, filling. Top off with reserved crumbs and berries. Check out these other 4th of July Desserts! 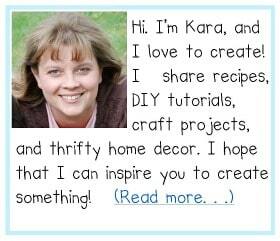 Just wanted to let you know I’ve featured your trifles on my July 4th round up…. 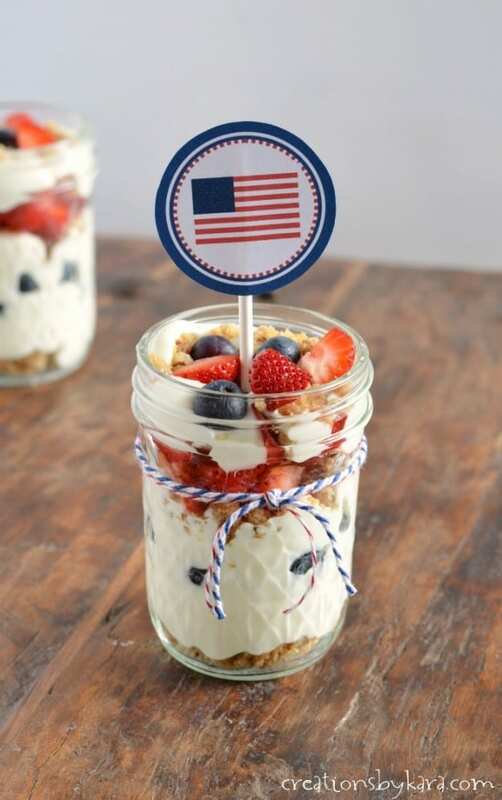 Your 4th of July Trifle looks delicious. I think this would make a great dessert for me to take to my family’s annual barbeque! Pinned.